You are blooming beautiful. 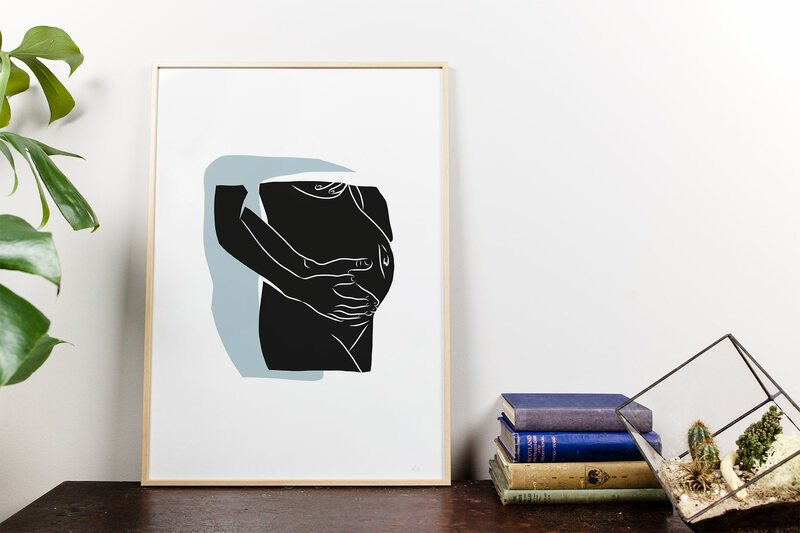 With a simple hand-drawn silhouette of you, bump and all, celebrate your pregnancy and capture your most precious memories. Solo or with your partner embracing you, take that bathroom selfie and get it turned into a piece of art you can cherish forever. How many weeks? The last pic you captured of yourself pregnant? Whatever you choose, you will have a timeless and elegant keepsake, created in a contemporary style that you should be proud to have in your home.